I just keep telling myself the rain is good for this year's hay crop! Oh dear. This is what I have to look forward to once the 38" of snow we have finally melts. And to think, I was afraid we got spring rain too early in the year and we'd hit the summer dry spell... that's how often it has rained! Well things will be back to soppy now with our 7 or 8 inches of snow. 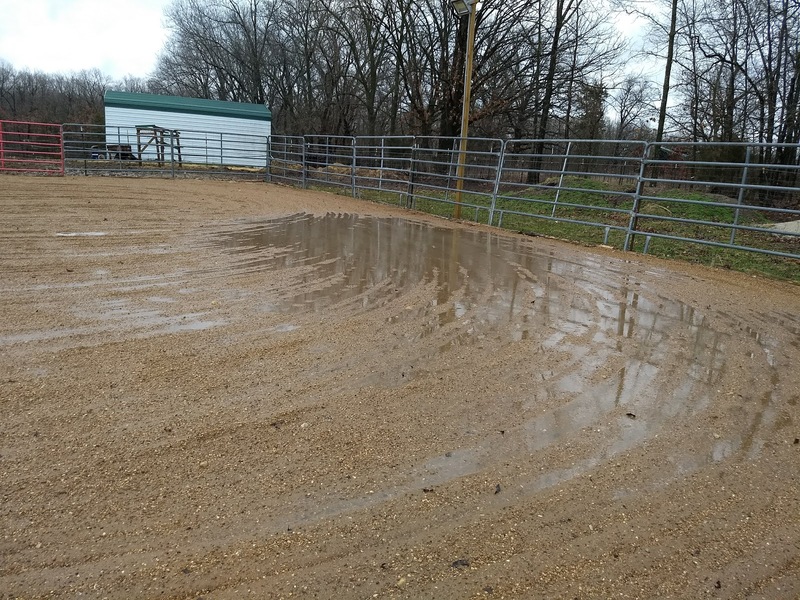 I hate to complain, because yesterday FB's "On This Day" had me complaining about how muddy it was in 2012 -- which ended up being a horrible drought year for us! But like.... I've had to swap boots three times already this week because the mud is so deep it comes over the top of my boots 🤷 so much precipitation! sigh. i keep telling myself it'll get better eventually! but man, i'm kinda in a hurry, spring, let's go!! Every year I spend some time in a phase panicking because "it could never possibly dry up again!" but ya know, it always does. This too shall pass. Oh dear. Well at least it's not snow. Right? 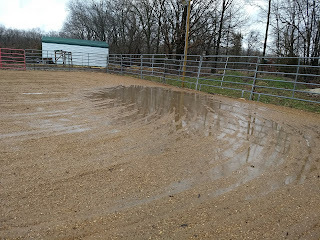 I keep trying to come up with a positive spin for all the rain, but I just can't :( Our arena looks similar to this in SC! Yuck!!! Rain is the worst. Still can be a bummer, send it our way, we've had such anemic rain in Socal it's bumming me out! I would be happy to share!! We're getting more today, so I'll think "go west" thoughts. Looks like my place, but I’m on sand. They better not put us on drought water restrictions this year!